Smart Cities Council Founder and Chairman Jesse Berst and Chief Scientist Stuart Cowan were in Beijing as the Chinese government hosted its first Smart City International Expo. Watch a news report about the event, including an agreement reached between the Council and the China Center for Urban Development. 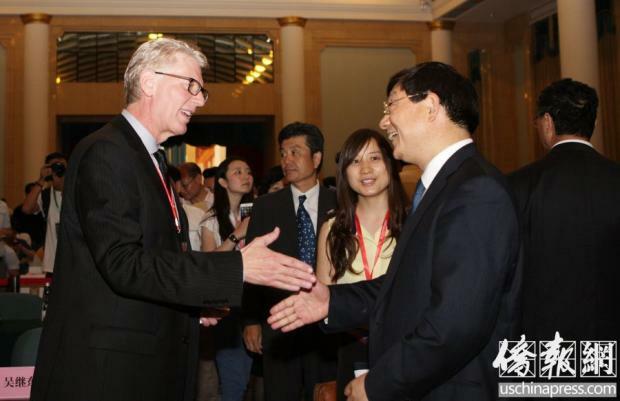 Below are photos of Berst and Cowan meeting with Chinese officials. Mr. Hu Zucai, Vice Chairman, National Development and Reform Commission of China, meets with Berst. 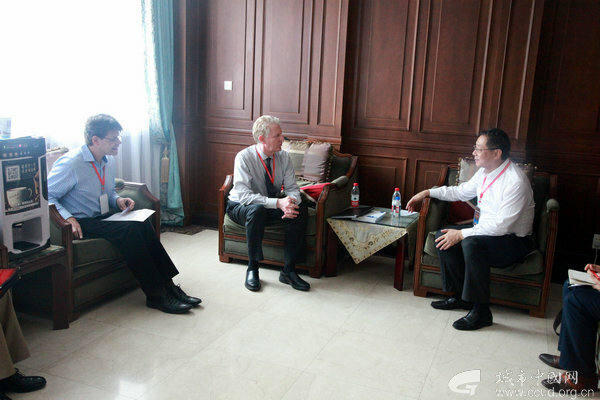 Mr. Li Tie, Director-General, CCUD, and Chairman, SCDA, meets Cowan (left) and Berst (center).